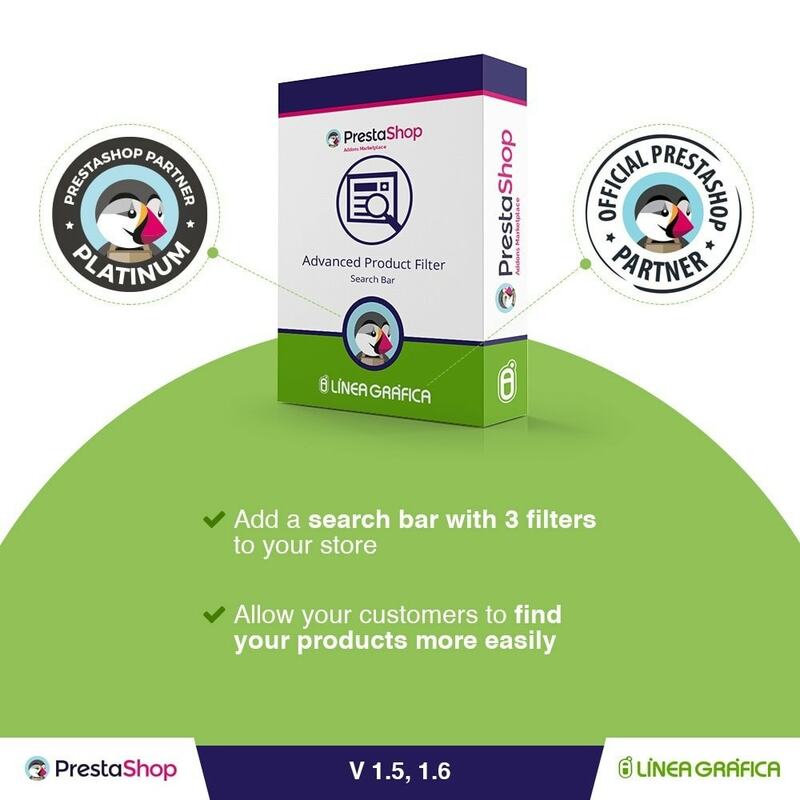 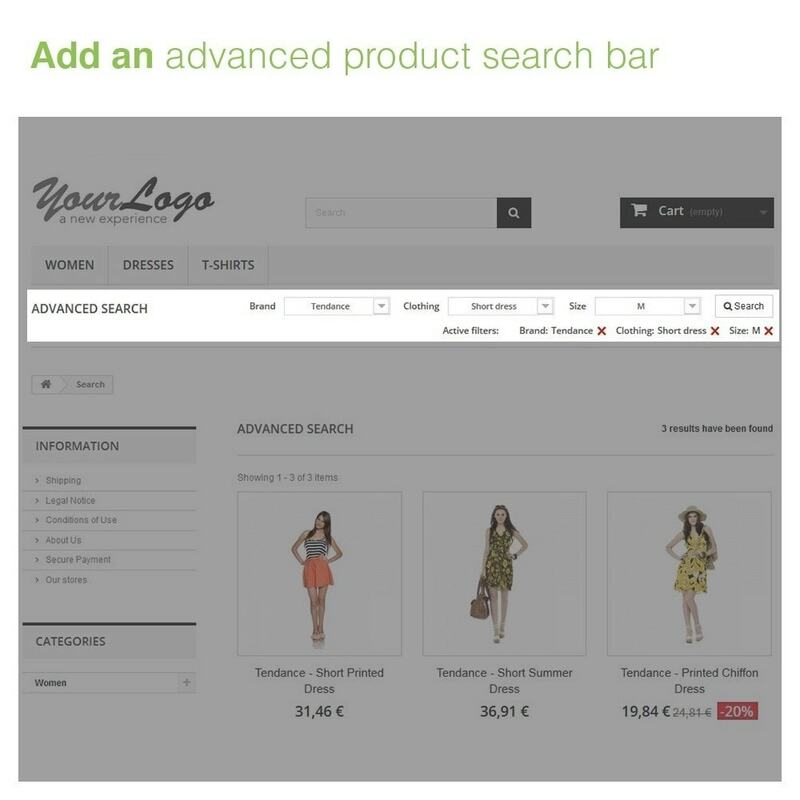 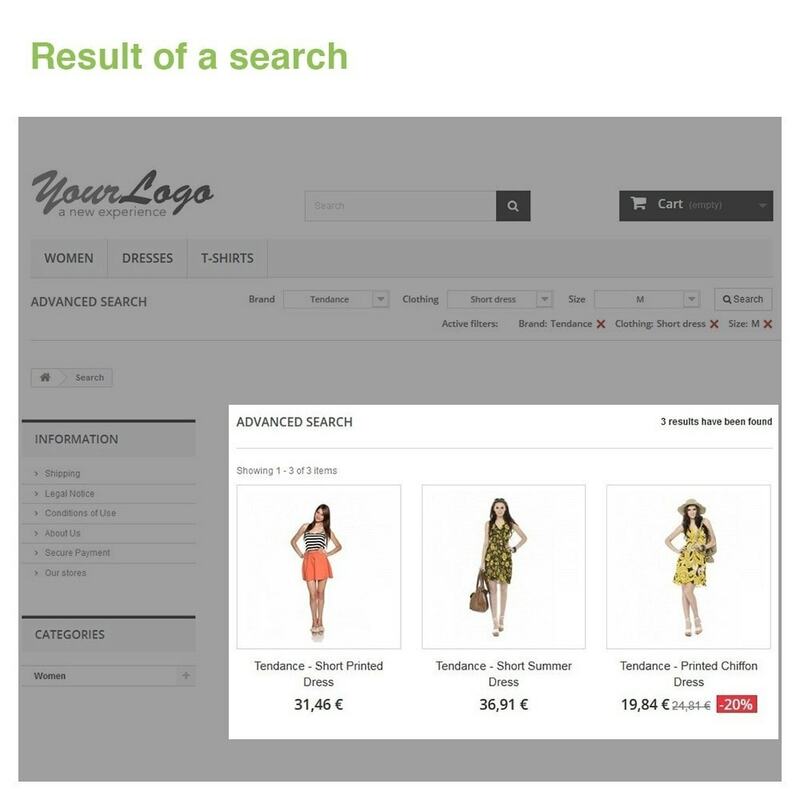 This module adds a responsive search bar in the front-office of your store with 3 different search filters (you can easily change their names). 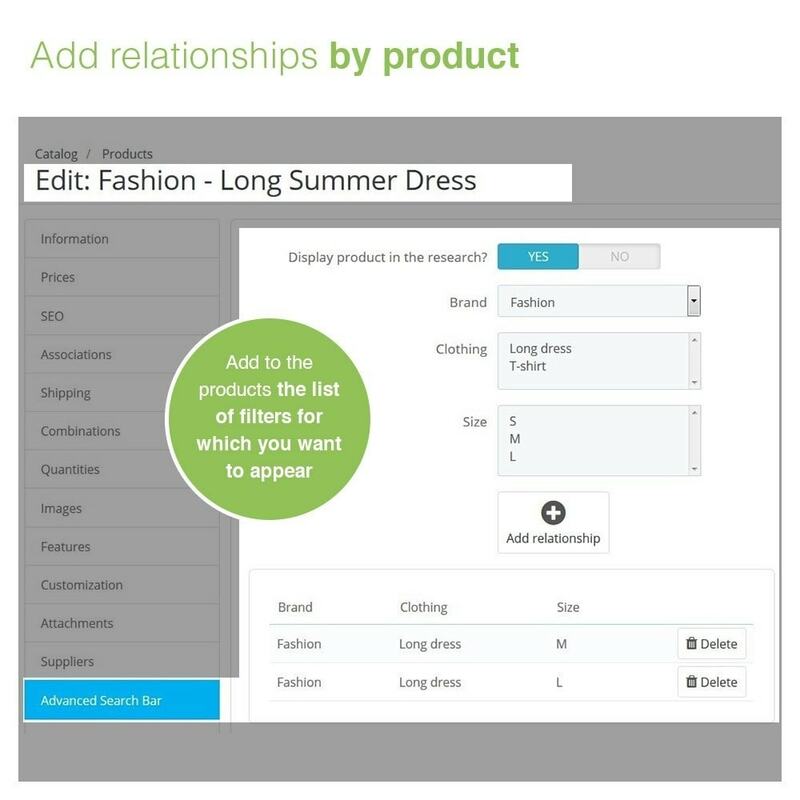 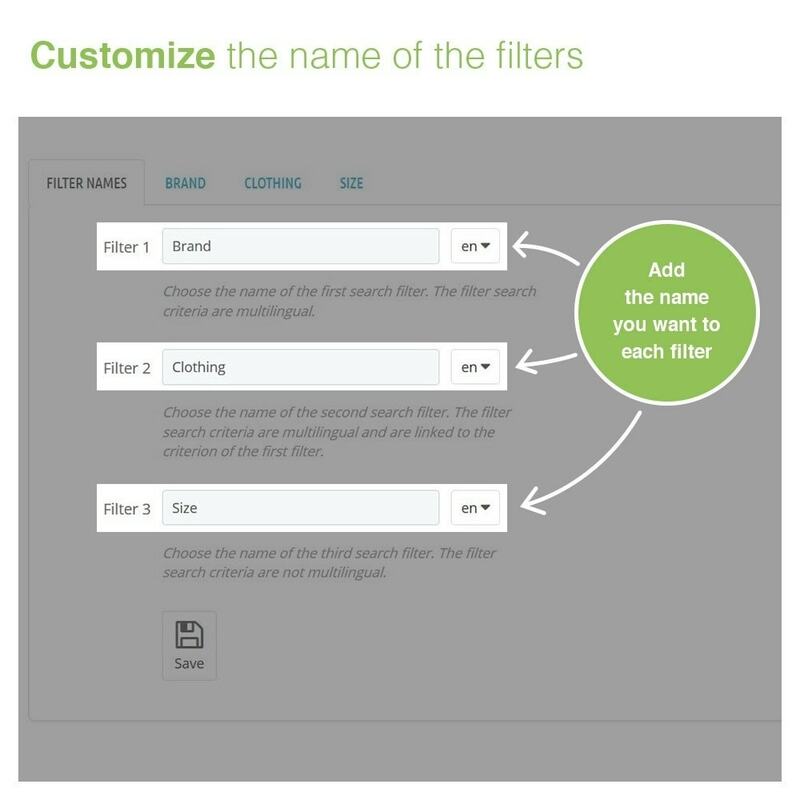 Customers can make a research using one filter or combining 2 or 3 filters at the same time. 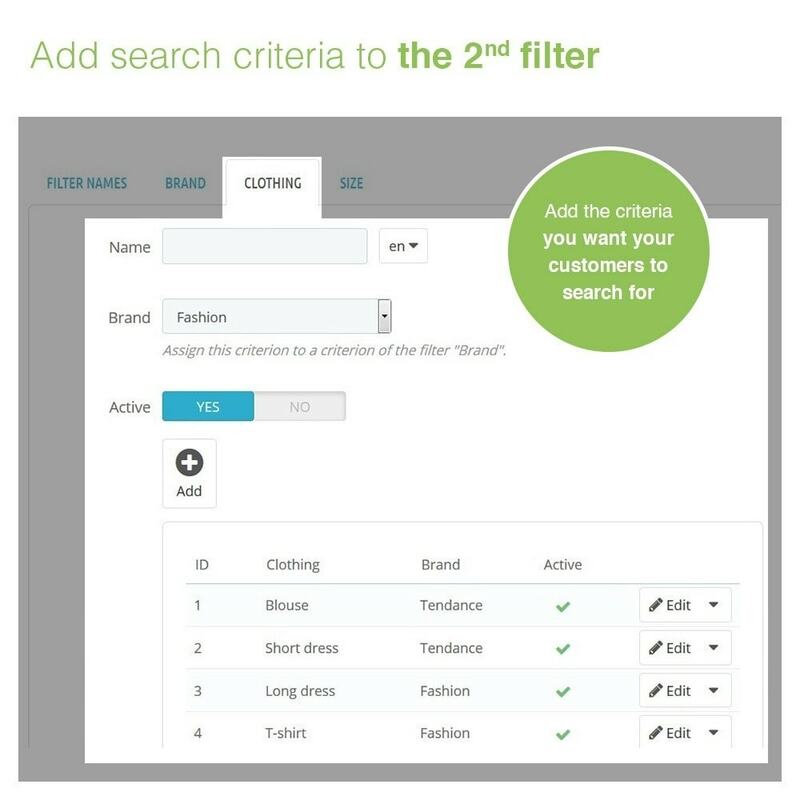 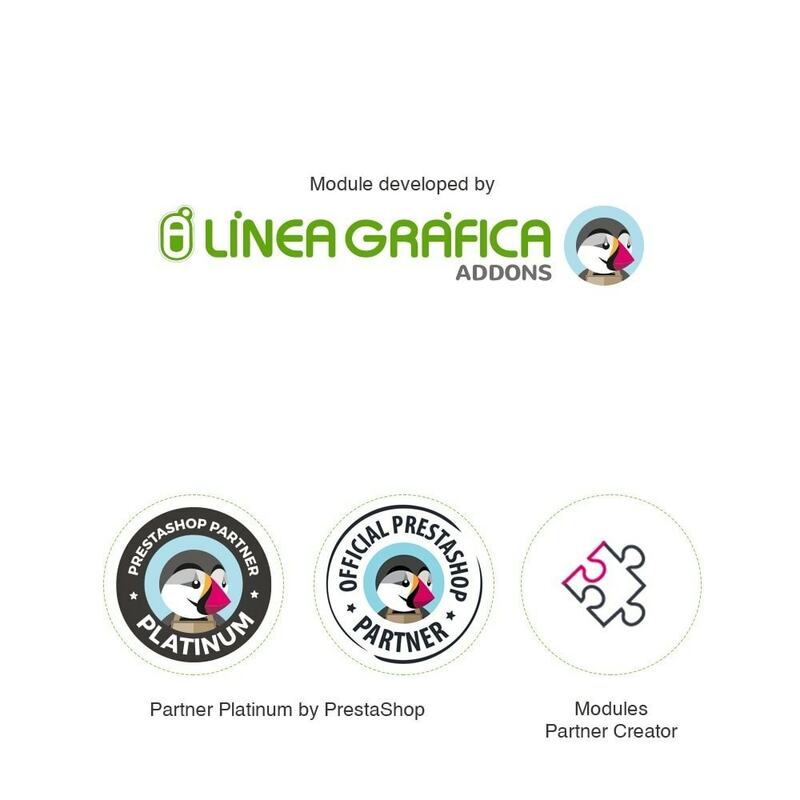 Please note that filter 1 and filter 2 are linked together: when you choose an option from the first filter (for example a brand), the second filter will show you only the products of the selected brand. 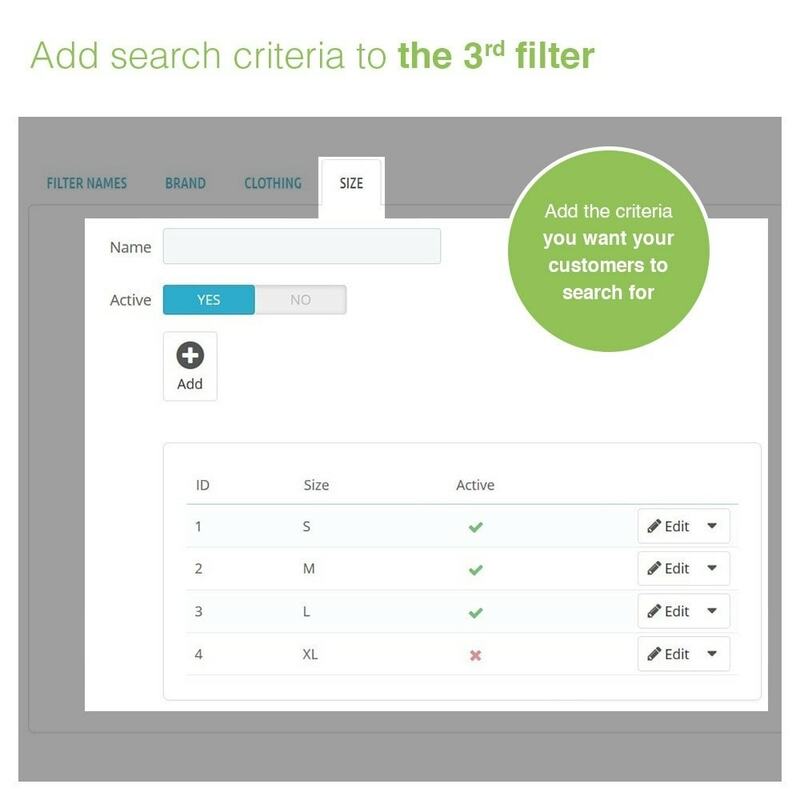 Important:The module includes by default 3 search filters and it is not possible to add extra filters or delete/disable some of them, the module must be used as it is with a 3-filter search system. 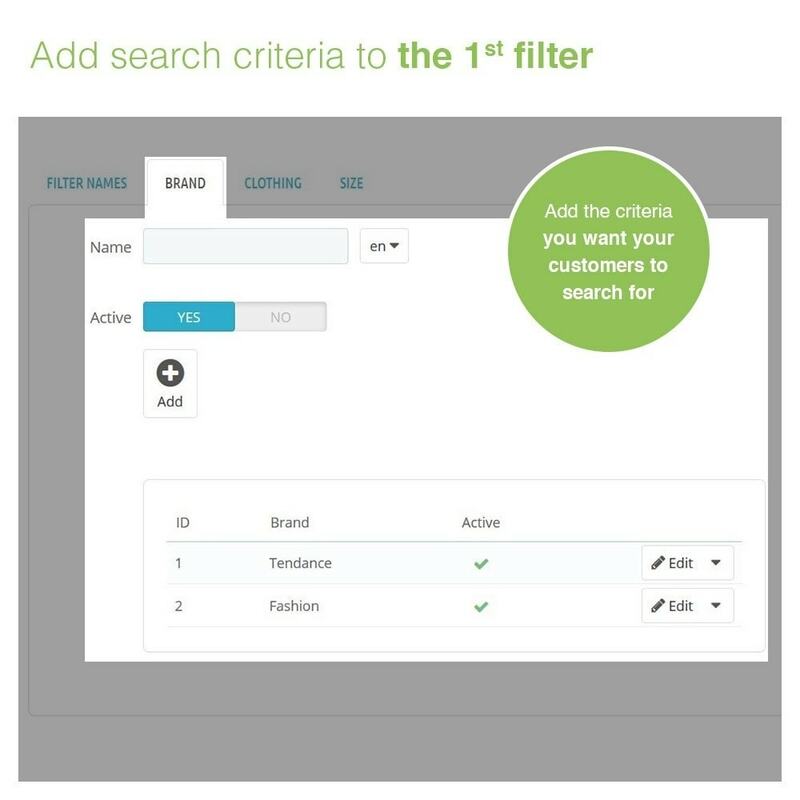 If the names by default of the search filters don't correspond to your products (by brand, model and year), you can easily change it directly from the module interface (see the module screenshots). 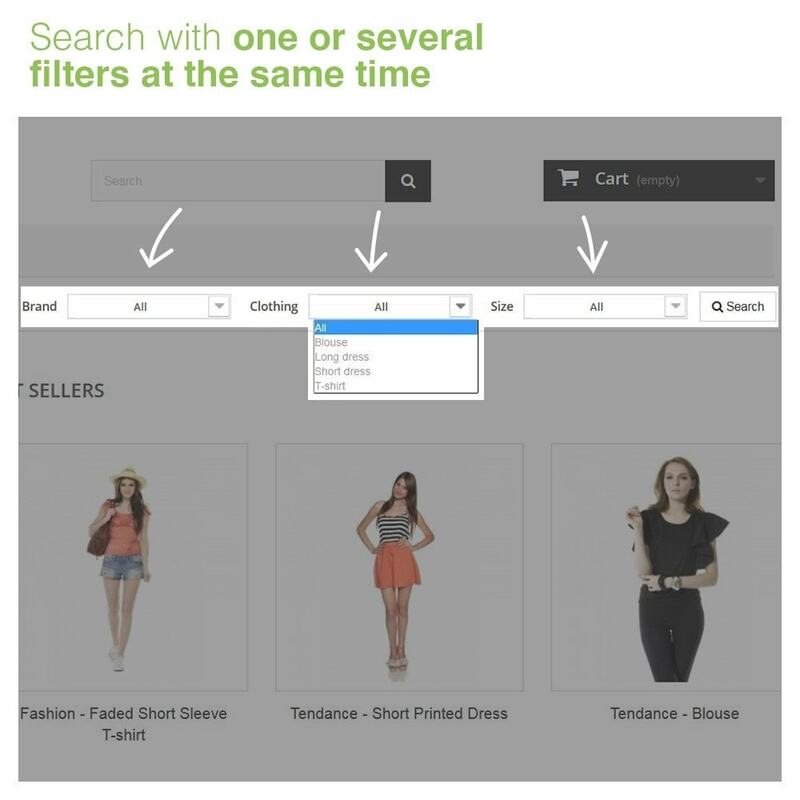 The search bar is common to all shops of the multistore.